On a quiet dead-end street sits a two-storey building draped in colourful murals. Here, innovative social services are offered to one of Montreal’s most under-appreciated neighbourhoods. The borough of Côte-des-Neiges and Notre-Dame-de-Grâce—NDG—is one of the most diverse in the city. It isn’t, however, the first area that comes to mind when you think of Montreal’s bustling art and music scenes. The five neighbourhoods within the borough are home to more than 165,000 people. It boasts a large new immigrant population; over half of local households include an adult born outside of the country. The borough also has the largest number of households with children of any community in the city. These traits make the Côte-des-Neiges and NDG atmosphere conducive to the local community initiative No Bad Sound. Since 2007, the Maison des Jeunes Côte-des-Neiges—a local social institution for kids—has operated the space. At No Bad Sound, children under 18 can come in to hang out, make music and express themselves artistically. 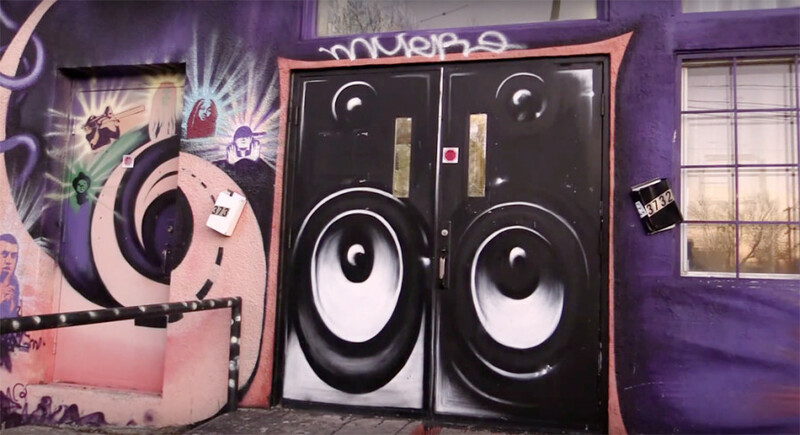 Located at 3730 de Courtrai Ave., the building is lavishly covered in graffiti artwork both inside and out. It isn’t only NBS’s artwork that makes it unique. The second storey of the building is home to a rehearsal and recording space for a local multilingual Montreal music collective called Nomadic Massive. Started in 2004, Nomadic Massive has been putting out hip-hop-style jams, which wander languages from verse to verse—the group sings and raps in everything from French and Creole to Arabic. A variety of talented musicians, some of whom have affiliations with Nomadic Massive, are involved with running the songwriting, beatmaking and DJing workshops at NBS. One of those people is Dr. MaD, who for roughly the last five years has been running the beatmaking workshops. Though not a member of Nomadic Massive, Dr. MaD has been making his own beats using a computer since age 16 and really sees the value of the program—even beyond the music. “These kids nowadays are already so incredibly talented. At the age of 15 some of them can already rap and make beats,” he said. “So this place is really just a space where they can come and grow as artists and musicians. Dr. MaD got involved with the program after one of his high school teachers—a member of Nomadic Massive—directed him there after years of collaboration related to music production. “I get a lot of gratification out of it and being able to see the way these kids develop,” he said. “They come in and within a year they have projects—projects they can share with their friends and be proud of. “They can learn so much here, even beyond the process of rapping or beatmaking, it’s a really valuable tool to aspiring artists, one that I wish I had access to when I was 16,” he continued. Kids like Winston—also known as Sylla, 17—take full advantage of all the opportunities offered to them at No Bad Sound. After a brief stint with the Maison des Jeunes Côte-des-Neiges, Winston heard of the free studio workshops being offered and took the chance to practice his skills. He says one of the reasons NBS is appealing to him is because the services are offered to the community for free. Although he has learned a lot during his time with No Bad Sound, Winston’s time at the program is almost up. Dr. MaD however, is optimistic about Winston’s prospects upon leaving the program.